The DRC and conflict minerals probably rings a bell. It’s well-known that the global trade in the 3Ts (tin, tungsten, tantalum) and gold has financed abusive armed groups in the DRC and fueled conflict. While cobalt is not a conflict mineral, artisanal miners mine cobalt in the southern part of the country under extremely dangerous and abusive work conditions, which are similar to the conditions in eastern DRC where conflict minerals are extracted. 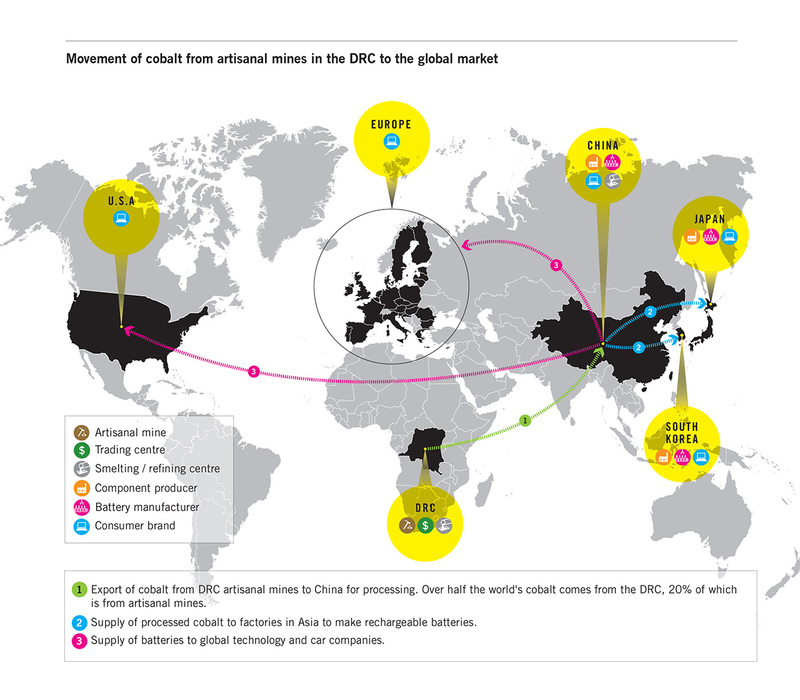 A new Amnesty report, This is What We Die For, traces the cobalt supply chain from the artisanal miners to the big brands selling electronic devices, and exposes all the governments and companies along the way that have turned a blind eye to the human rights violations suffered by the miners. Hand-dug mines extend tens of meters underground without any support structures and ventilation. Mine collapses occur frequently, but the government does not record the fatalities. According to the International Labor Organization, one of the worst forms of labor a child can perform is mining. Not only are the children not attending school, but they are exposed to numerous health hazards, theft of their meager earnings, and physical abuse by security personnel. 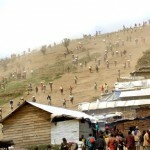 Perhaps the conflict minerals provision (Section 1502) of the Dodd-Frank Act provided you with some hope that it could help address the human rights abuses linked to the extraction of minerals from the DRC? After all, it requires U.S.-listed companies to submit reports to the Securities and Exchange Commission on their efforts to undertake due diligence to check their supply chains for conflict minerals mined in the DRC and neighboring countries. 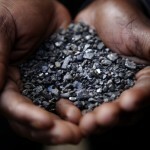 Dishearteningly, Amnesty found that more than three quarters of companies that submitted reports didn’t meet the minimum requirements of the conflict minerals law. 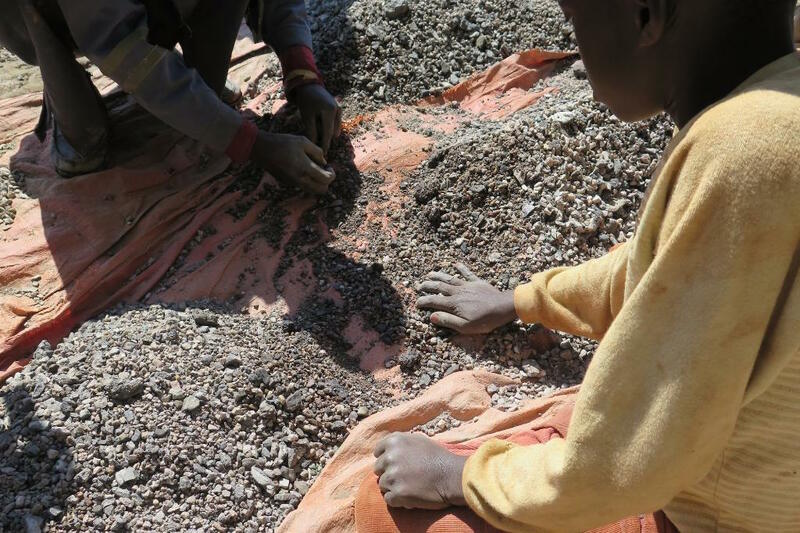 Although cobalt is not a conflict mineral, it is associated with human rights abuses. The reporting requirements in Dodd-Frank 1502 may offer a model for similar reporting on the cobalt supply chain. However, at this time cobalt doesn’t fall under the conflict mineral law’s provisions. And companies know it. Amnesty wrote the “downstream” companies to find out what kind of due diligence measures they are undertaking on their cobalt supply chains. Vodaphone explicitly stated that it is not doing due diligence on the source of the cobalt in its products because U.S. legislation doesn’t require it. But surely some of the big U.S. companies – like Apple, HP, Dell, and Microsoft – that are subject to Section 1502 would catch the abuses at cobalt mines by the very fact that they have conflict mineral due diligence policies and processes integrated into their supply chain management systems? Apparently not. In letters to Amnesty some companies claimed it was too complicated to undertake due diligence for cobalt, even though doing so would not be much different than doing the same for the 3Ts and gold. Others claimed they did not find cobalt from the DRC in their supply chains or that their cobalt was sourced responsibly, but none could back those claims up with any evidence. A few stated they would investigate further. After all their detective work, tracing each tier in the supply chain from the mines they visited to the headquarters of some of the largest tech sector firms, the Amnesty reporters could only conclude that neither governments nor companies were meeting their human rights obligations. No country legally requires companies to publicly disclose their cobalt supply chains and due diligence practices. Of all of the companies Amnesty wrote, not one said they were trying to trace the source of the cobalt in their products prior to receiving the letter. And none of them could evidence that they are fully meeting the international standard – as laid out in the OECD Guidance for responsible mineral supply chains – for carrying out due diligence on their cobalt supply chains, publicly disclosing their practices, or undertaking actions, with other relevant actors, to remediate the harms suffered by artisanal miners, including the children miners. Did you know cobalt mined in dangerous conditions by adults and children as young as seven in the DRC could be powering the world’s biggest electronic brands? High-tech phones are a world away from the adults and children who work in dangerous conditions to mine the cobalt that powers them. World’s wealthiest companies need to prove that the cobalt in their products is free of human rights abuses. Do you know the story behind the cobalt in your phone? @Microsoft (or @HP) do you know? 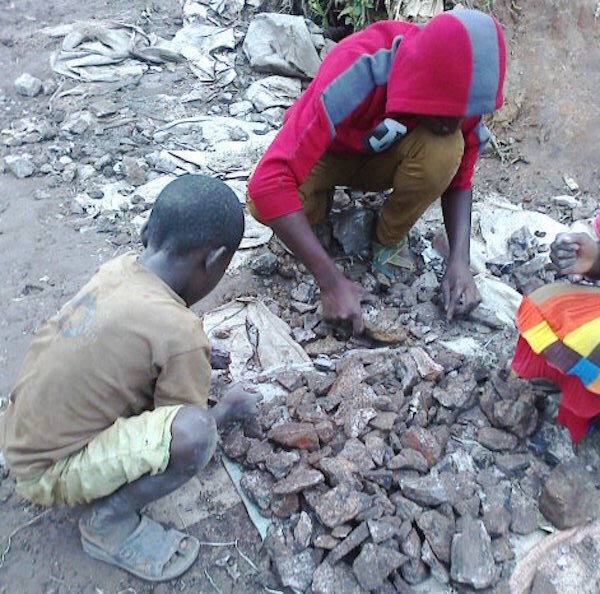 Does your smartphone contain cobalt mined by children in the #DRC? Do you know the story behind the cobalt in your phone? This entry was posted in Africa, Business and Human Rights and tagged Africa, Business and Human Rights, child labor, children, Children's Rights, Cobalt, Corporate Accountability, Corporations, Democratic Republic of Congo, DRC, human rights, labor, mining by Guest Writer. Bookmark the permalink. Supporting California's Call to go "Conflict-Free"
Very amazing blog it is very use full information for us thanks. Nice article i watch this your amazing posting thanks for sharing. To get this symmetry, Hu and his research team started with bulk molybdenum disulfide, also known as the mineral molybdenite that used as an industrial lubricant. They then manipulated the atomic, structural arrangements, referred to as different crystal phases. The bulk material with a 2H phase works well as a regular resistor, and to make it a memristor, the team peeled back the molecular layers. This exfoliation process creates molybdenum disulfide nanosheets with 1T phase. The nanosheets with1T phase exhibit a reversible change in resistance relative to voltage—necessary for a memristor. The researchers finally dispersed nanosheets on the two sides of a silver foil to form a symmetric memristor. You have shared very useful post thanks. In spite of the fact that cobalt isn't a contention mineral, it is related with human rights manhandle. The detailing prerequisites in Dodd-Frank 1502 may offer a model for comparative giving an account of the cobalt inventory network. Be that as it may, as of now cobalt doesn't fall under the contention mineral law's arrangements. Shopkro.com What's more, organizations know it. Absolution composed the "downstream" organizations to discover what sort of due persistence measures they are attempted on their cobalt supply chains. Vodaphone expressly expressed that it isn't doing due constancy on the wellspring of the cobalt in its items in light of the fact that U.S. enactment doesn't require it. it amazing things ,thanks for the sharing .